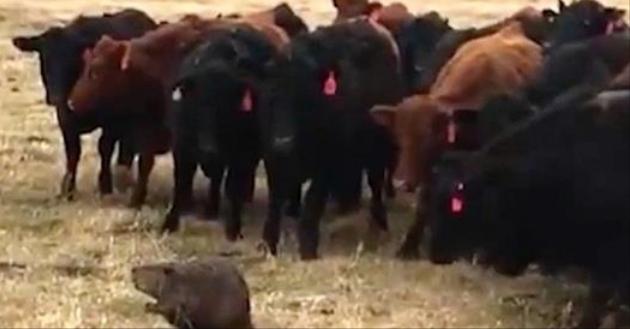 A perplexed beaver who accidentally herded 150 head of cattle across a farm in Canada last week has become an online sensation. The video shows the cows carefully following the beaver. When the rodent moves, they move with it. And when it stops, they stop too ― gathering around, but also keeping a respectful distance. She told the broadcaster that the beaver was likely out looking for a new place to build a lodge when it came across the cows. Responses to "Bewildered Beaver Becomes Accidental Leader Of 150 Curious Cows"